1. 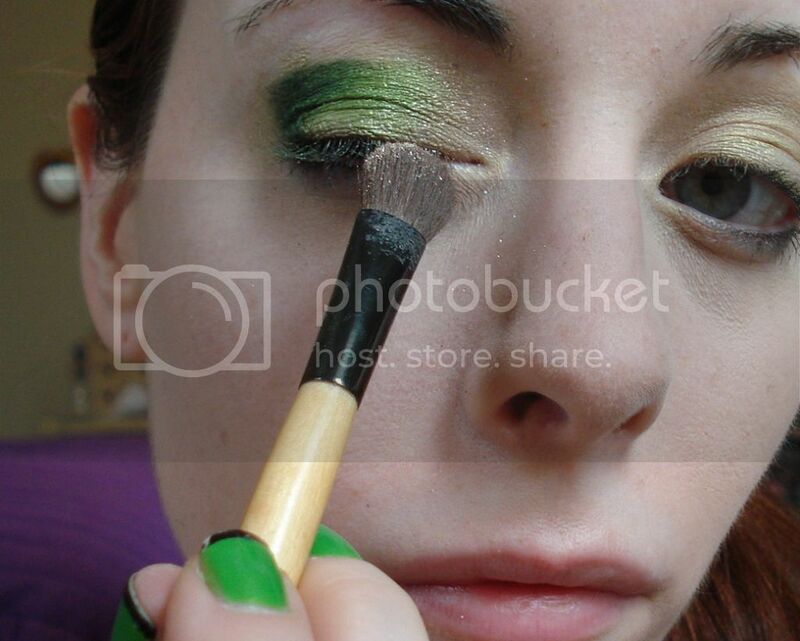 First, apply your eyeshadow base. 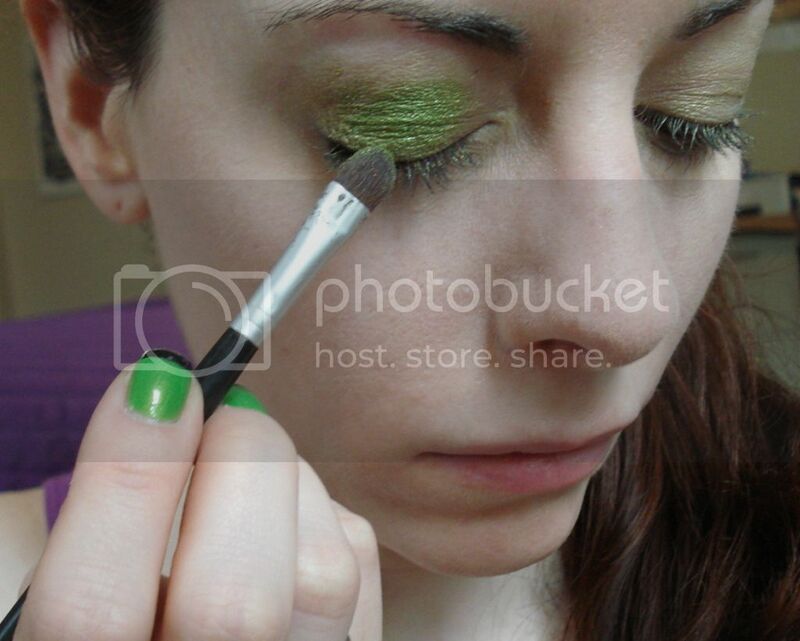 I used MAC’s Chartru paint, which helps the eyeshadow grip your lid longer and stay vibrant. I patted it on my lid up into the crease. 2. 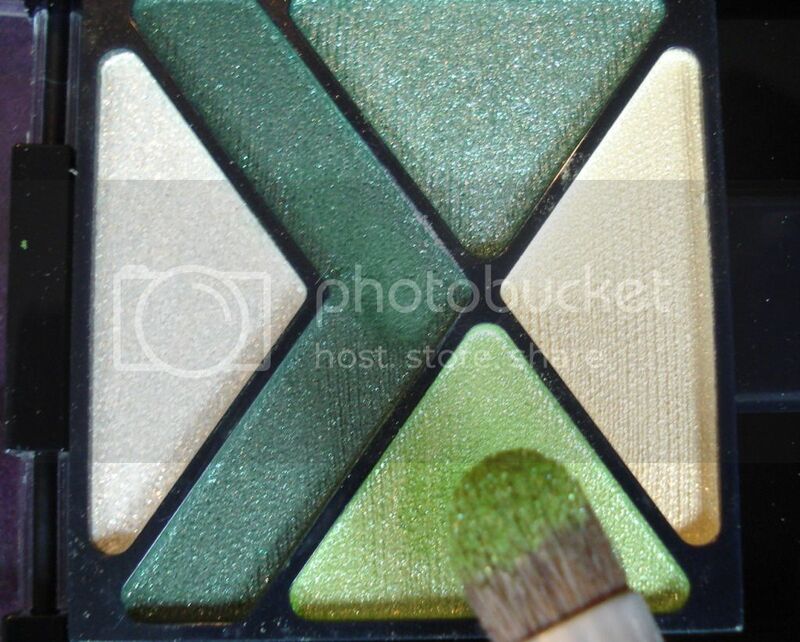 Then I took some of the grass green eyeshadow from the palette using my stiff-bristled brush. 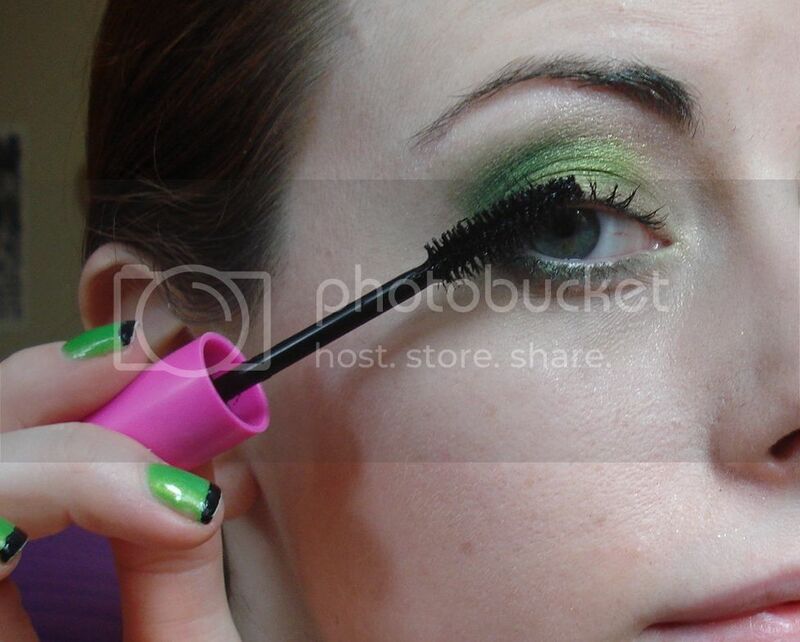 I patted it onto the middle of my eyelid. 3. Now it’s time to create some contrast. 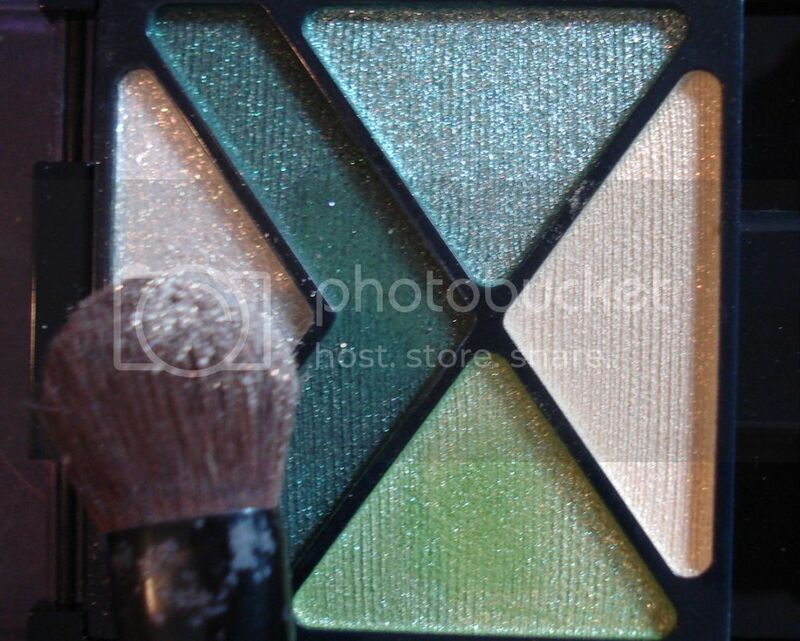 I grabbed the dark forest green eyeshadow using my thin crease brush and blended it into the outer corner and crease. 4. 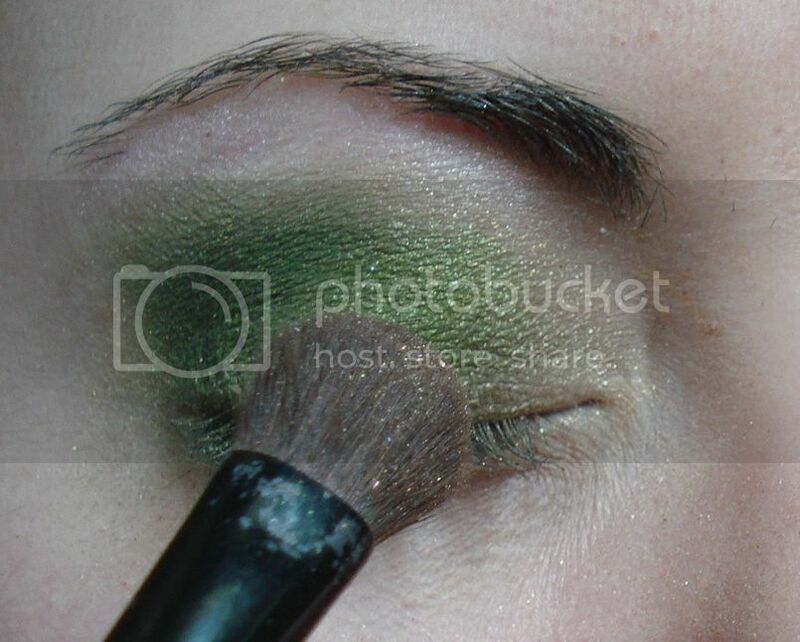 Then I picked up some of the whitish gold glitter on my fluffy brush, applying it along the lashline. 5. 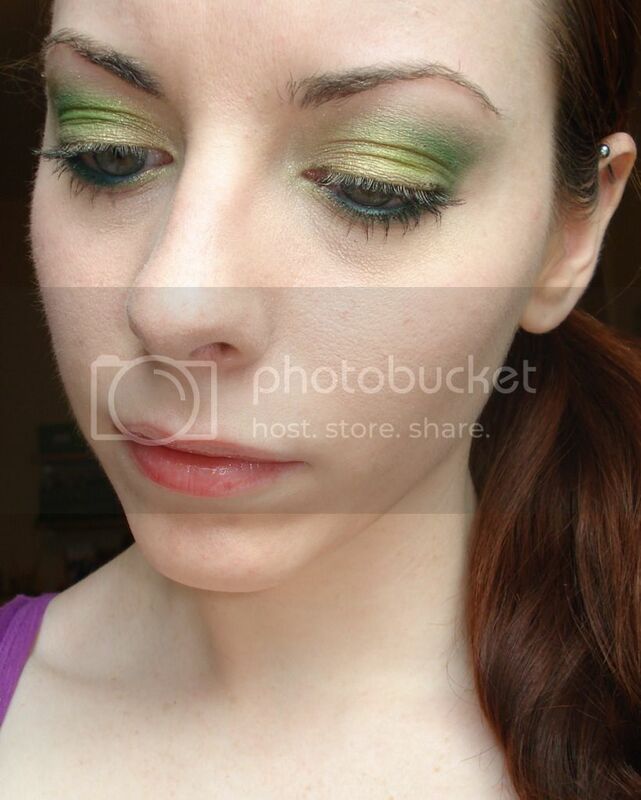 Using some of the grass green and whitish gold, I blended over the lid. 6. 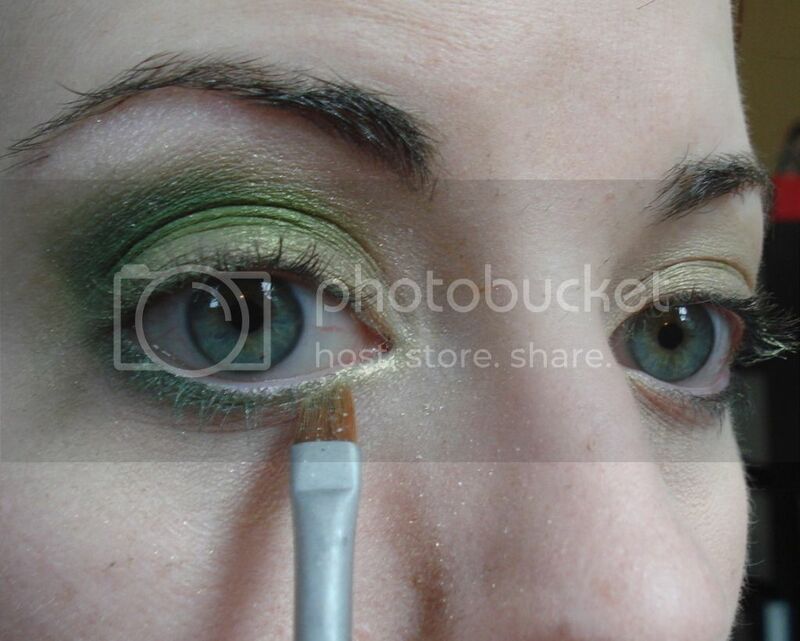 Next I applied medium green to my out lower lashline, and whitish gold to my inner eye, using my thin angled brush. 7. 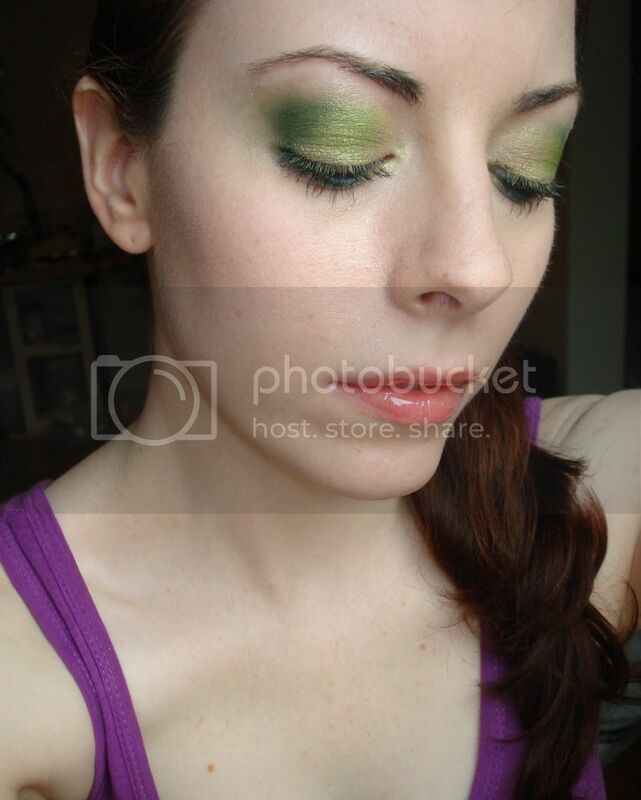 Highlight the browbone ( I used a pale pink shadow from another Maybelline palette called Time for Wine). 9. 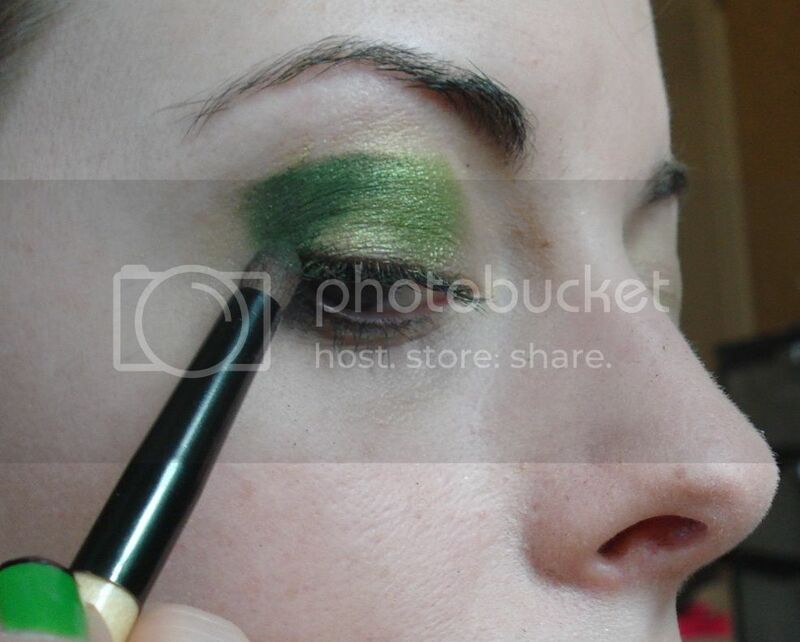 I tightlined, or filled in the waterline, with Rimmel Jungle Green pencil. 10. Lip gloss. 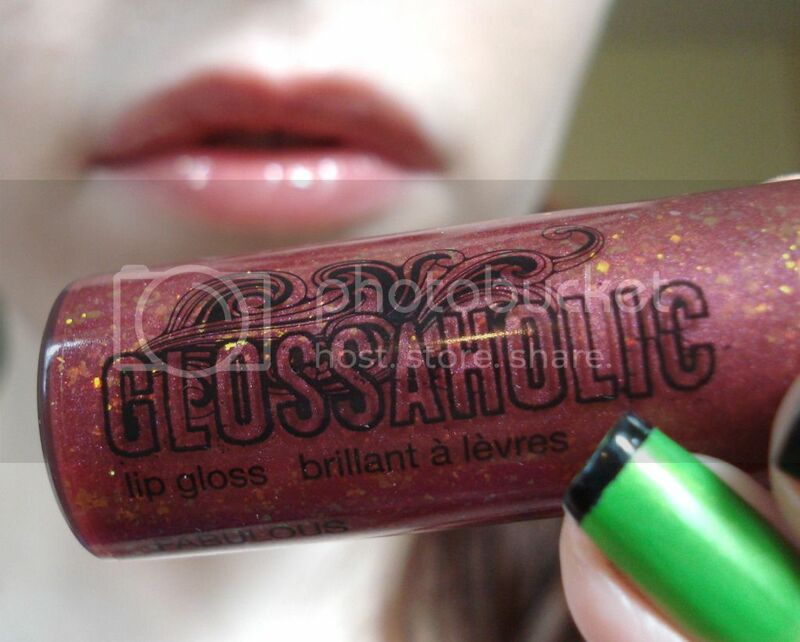 I used Hard Candy Glossaholic (it has holographic flakies in it!) in Fabulous. And you’re done! 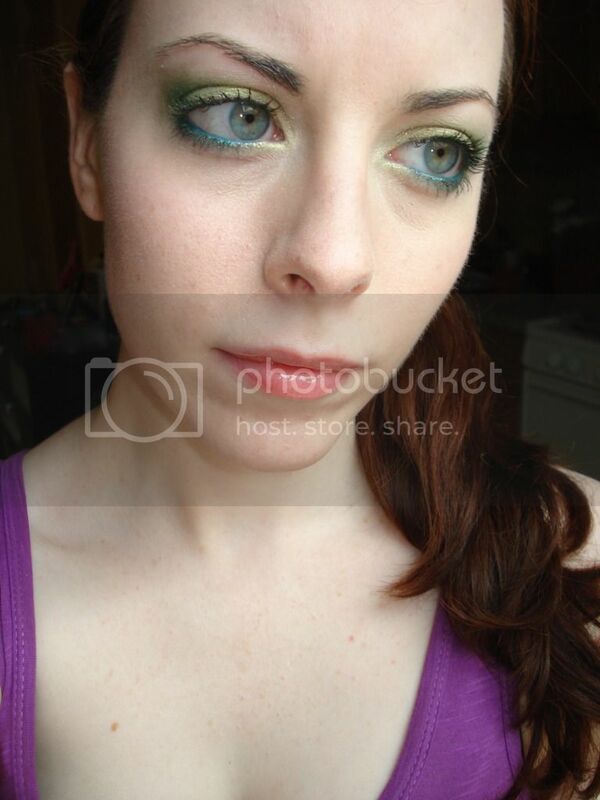 Here’s a couple more of the finished look. 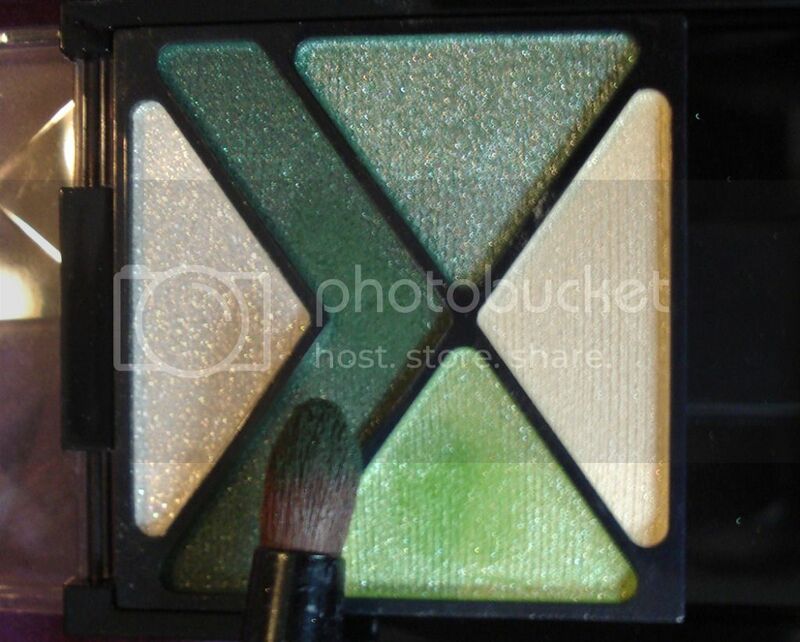 Overall, I don’t think this palette is bad for the price. 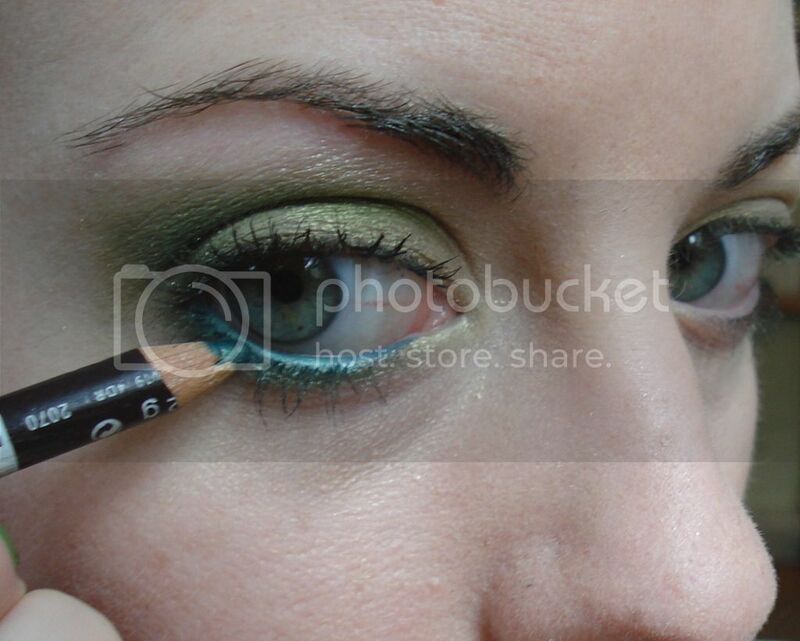 As long as you use a quality base and apply a couple layers of shadow, you should get a decently vibrant look. Would you buy or have you bought Forest Fury? 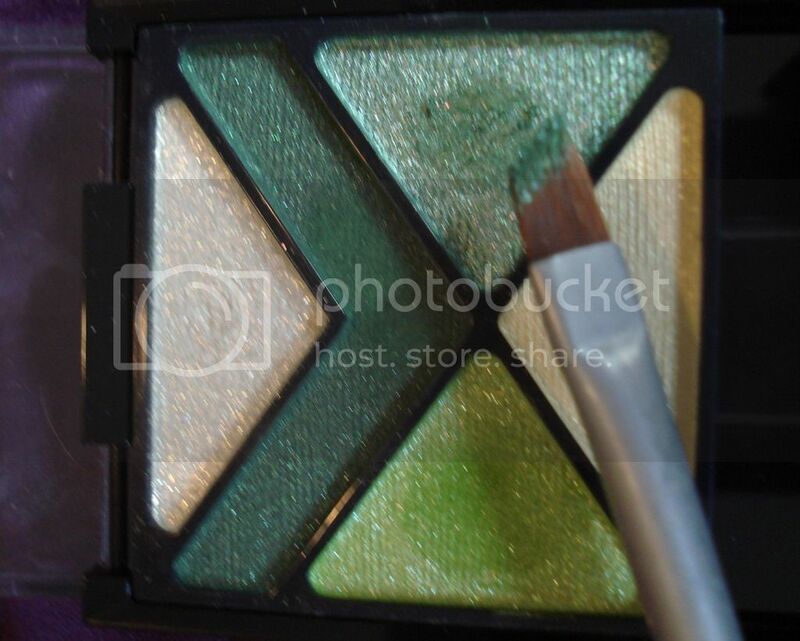 I bought the purple one too (can’t recall the name right now) and it is similar quality, with some nice bright shades.